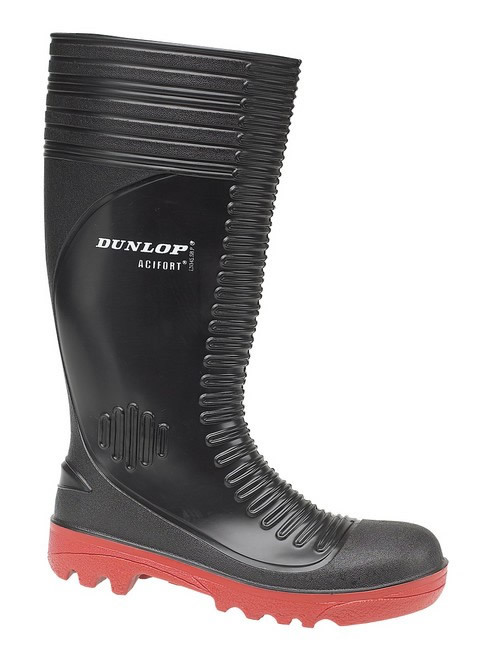 The Dunlop Acifort Full Safety original industry work boot has a steel toe cap and midsole. Suitable for a multitude of construction environments, the ribbed upper on this sturdy Wellington boot provides protection for the shin bone. Durable and hardwearing. Resistant to Minerals, animal and vegetable oils & fats, disinfectants and various chemicals.